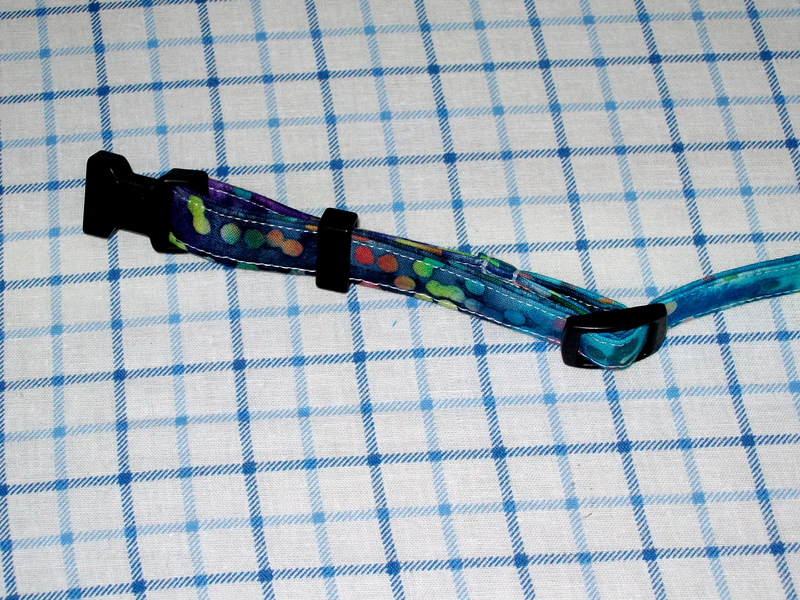 Is your dog’s collar looking a little tired and worn? Perhaps you’re just bored of looking at the same collar day after day? 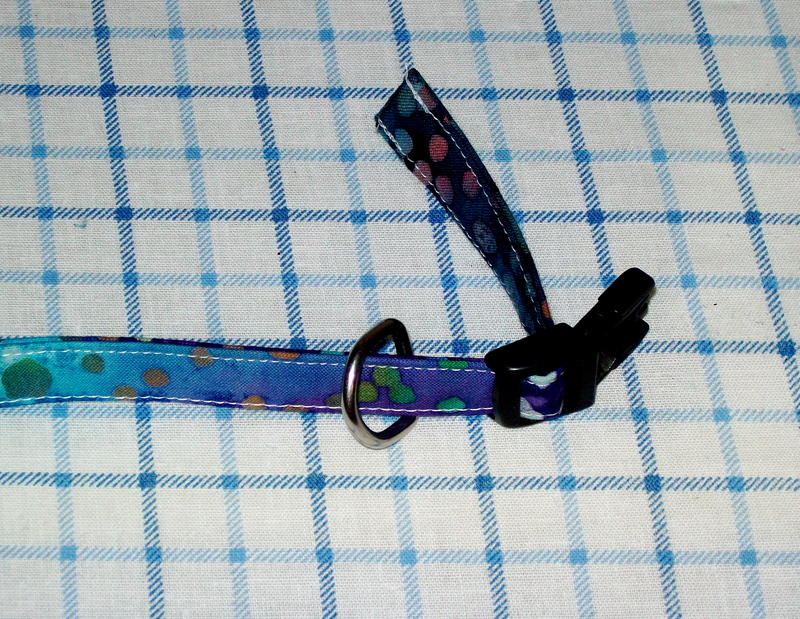 Maybe you can’t find a collar at the store that suits your pooch’s personality? I was surprised just how easy it was to make one. I hope you will be too! 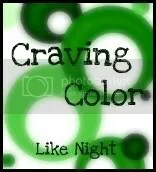 This is a revised version. My sewing mentor (my mom) suggested I use interfacing in the collar to make it stronger, so I have changed the instructions to reflect this addition. 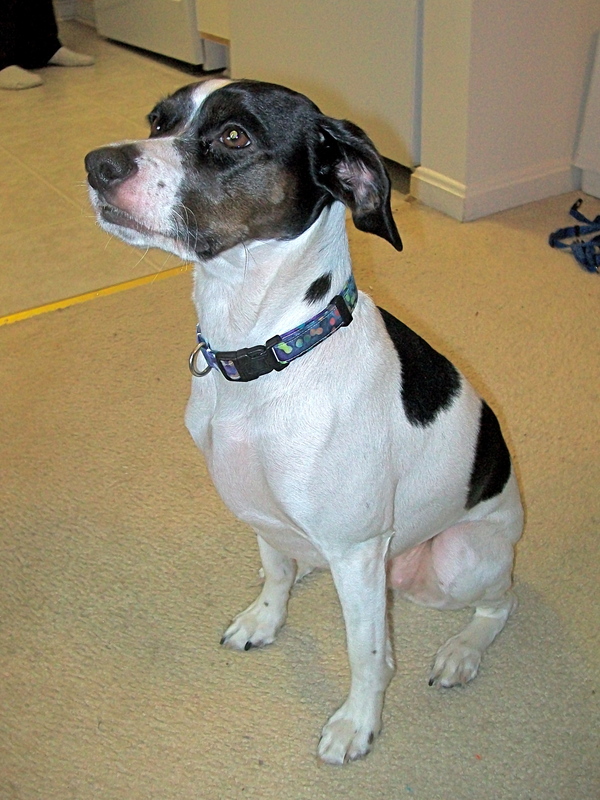 Begin by measuring the width of your current collar and the circumference of your pup’s neck. Now, you need to measure out the fabric. The width of your fabric needs to be 4x the width of your current collar. 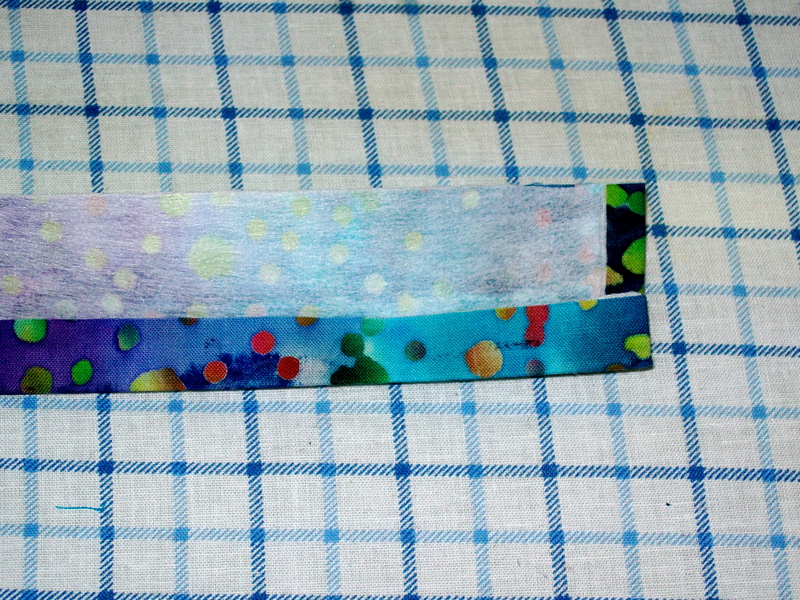 For instance, my collar is 5/8″, so I cut the fabric to be 2-1/2″ wide. The length of your fabric needs to be at least 8″ longer than the circumference of your dog’s neck. This measurement does not need to be exact because the collar is adjustable. When you have figured out the dimensions, cut your fabric. Cut a piece of interfacing to the same size as the fabric. Following the directions for the interfacing, iron the interfacing to the back side of the fabric. 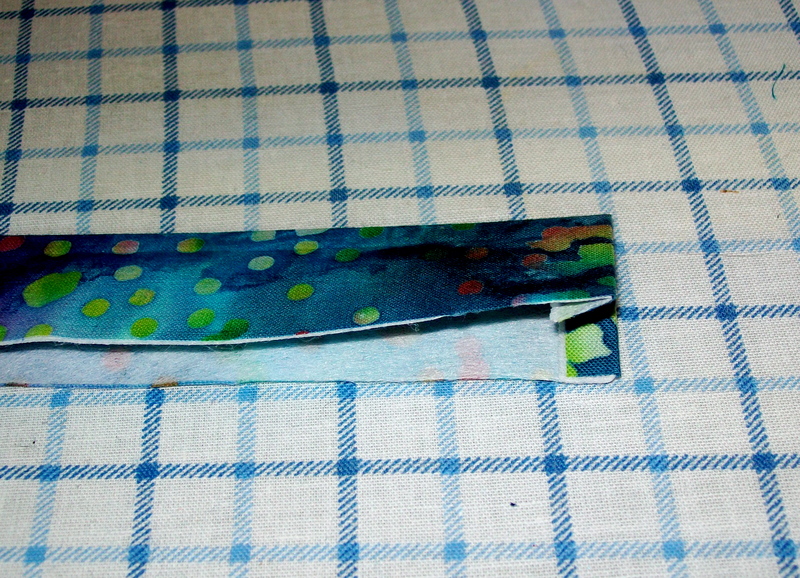 Fold the ends in about 1/4″ and iron. Make sure right sides are out. 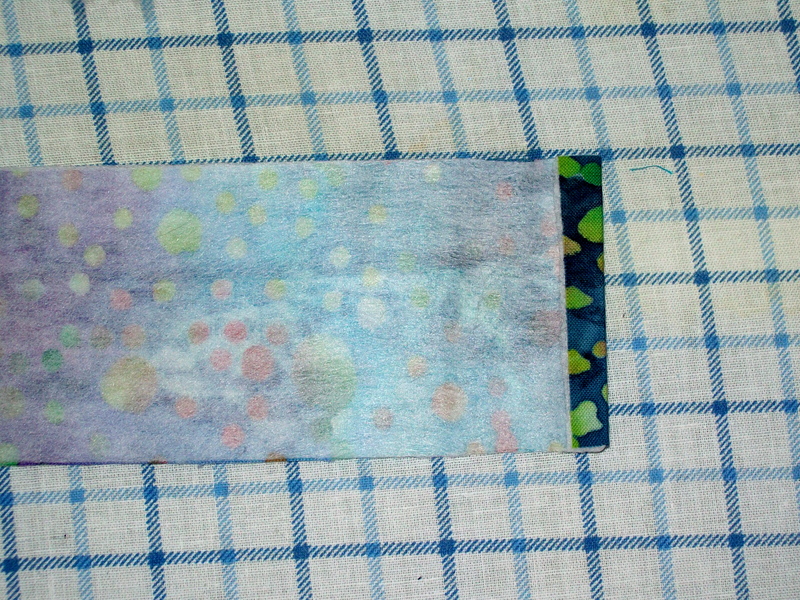 Fold the fabric in half lengthwise with right sides facing out and press. Open the most recent step and fold the edges in to meet the middle crease. Iron. 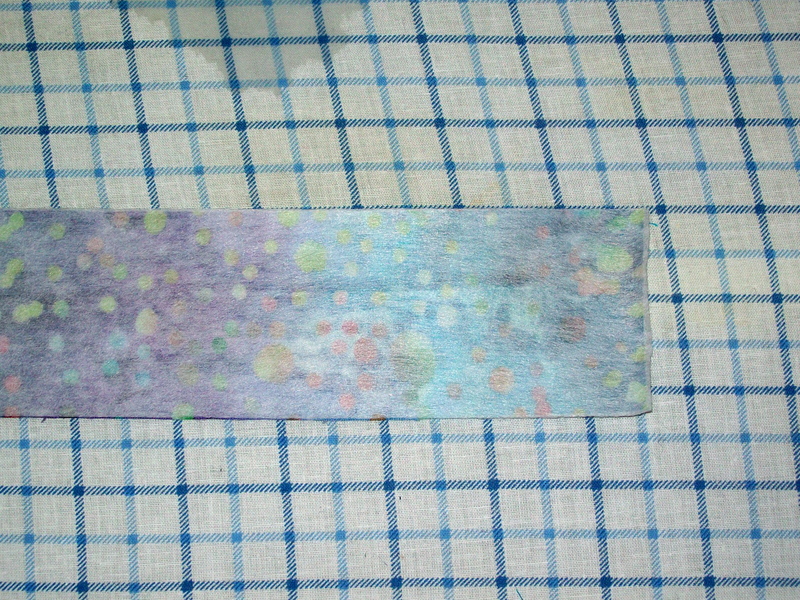 Repress the middle crease with the edges still folded in. 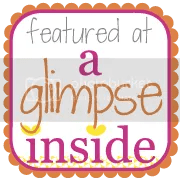 Sew an 1/8″ seam down each side of the fabric lengthwise. Cut the current fabric off your old collar, but keep all the pieces. 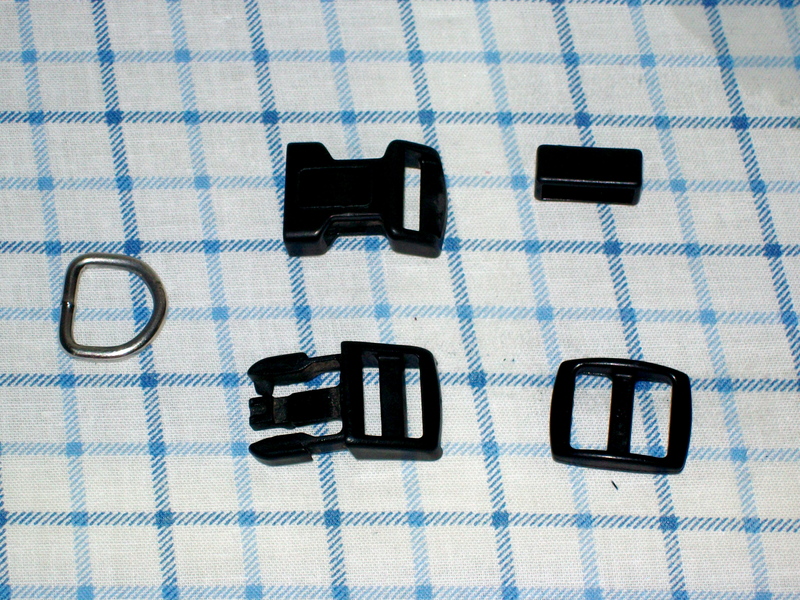 You should have four pieces of plastic and a metal ring left. Two of the pieces clip together. 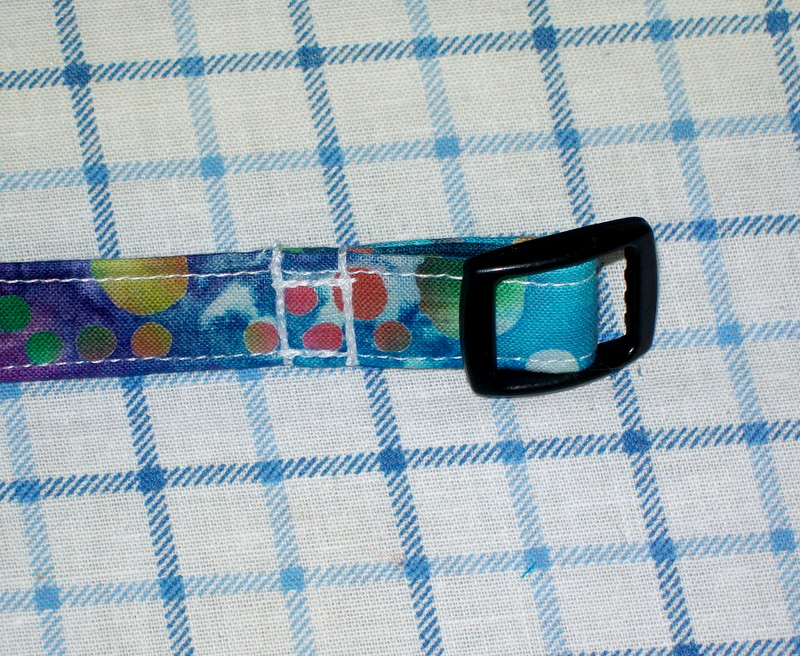 One adjusts the size of the collar once it is on the dog. 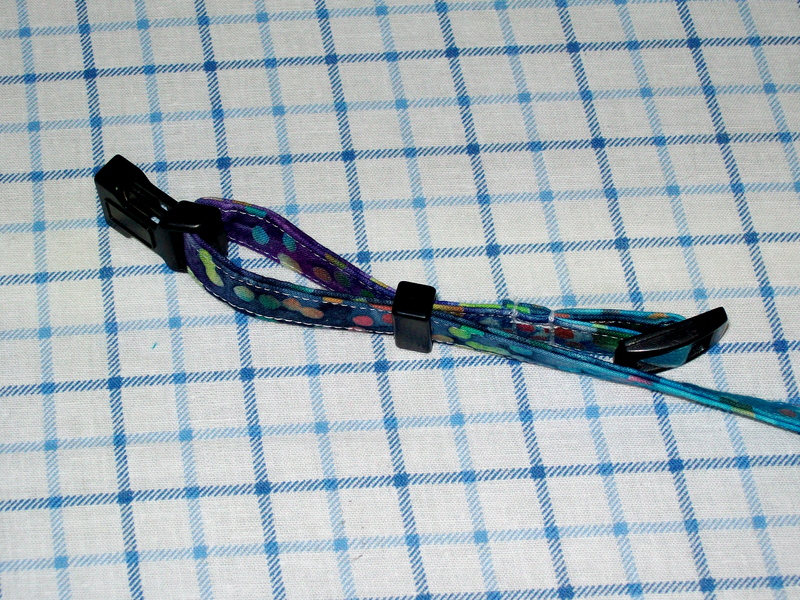 The fourth piece is a small plastic band and holds the collar in place (your collar may or may not include this piece). The metal piece is a D-ring to hold your dog tags. If you look at the adjuster from the side, it should have a flat bottom and a rounded top. Feed the fabric up through one of the slits starting on the flat bottom. Continue to feed the fabric down through the second slit in the rounded top and out again through the flat bottom. Pin the tail of the fabric to the rest of the fabric and sew firmly in place. Sew over the same place a few times to make sure the fabric is firmly attached. 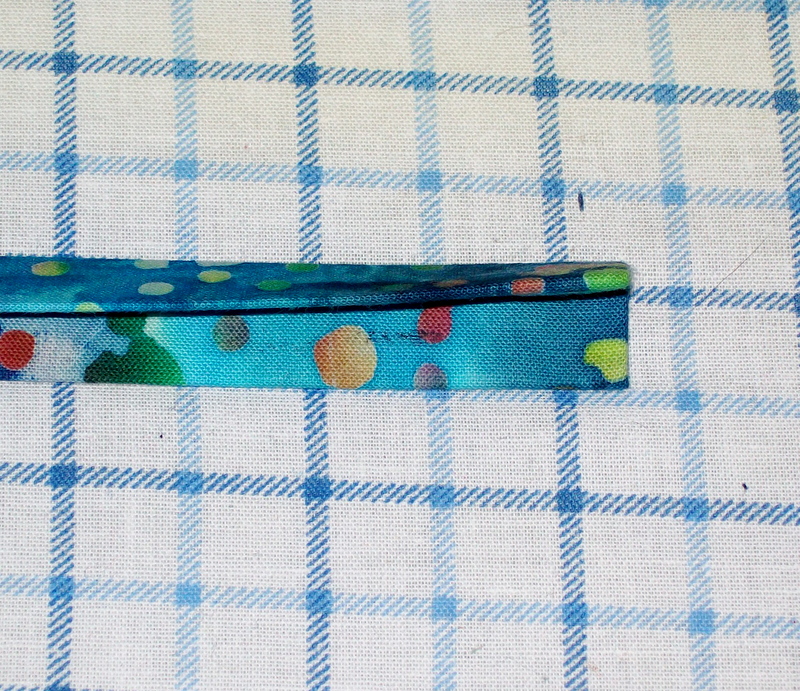 Thread the fabric through the plastic band (if you have one), one side of the clip, and back through the plastic band. Make sure all plastic pieces will follow the contours of your dogs neck (all rounded edges face out). Feed the fabric through the adjuster piece in the same manner as before. 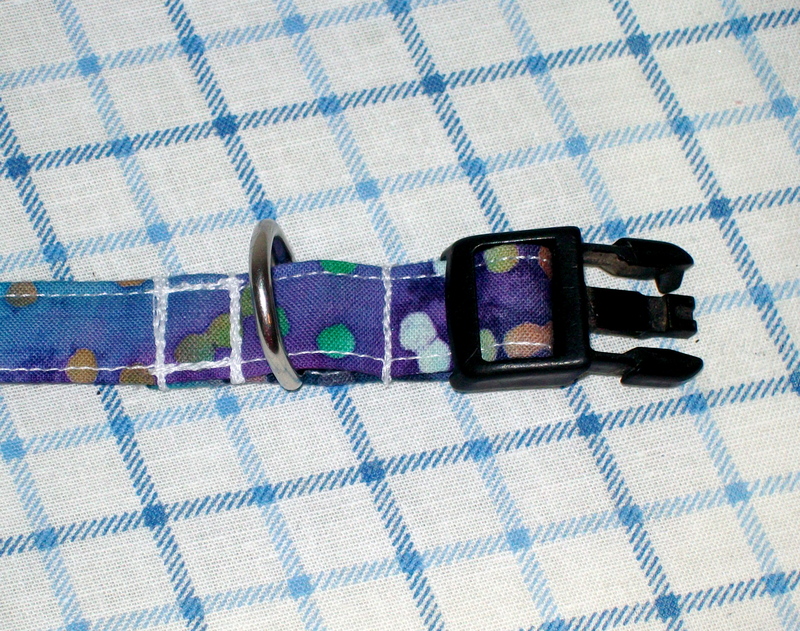 Thread the fabric through the metal D-ring and the second piece of the clip. Pin the tail to the fabric before and after the D-ring. Sew the tail down firmly in both places. Allow your pooch to show off their newest accessory! What a fashionable look for your dog and a terrific use for a scrap of fabric! For a bigger dog, fusible interfacing could be added to make it a little stiffer and give it a bit more strength. The interfacing didn’t occur to me until after I had already finished 😦 This works for Maggie because we only use the collar to hold her tags. Interfacing would definitely make the collar stronger!